Sadly my camera battery died today so I couldn’t take more photography but at least I got a little bit before the shutter stopped clicking. Lol. Below is an activity I sat up with Handwriting without Tears and a setup called Hooked on Phonics. This is very simple basic learning but great practice with handwriting skills as Lily needs work on that. 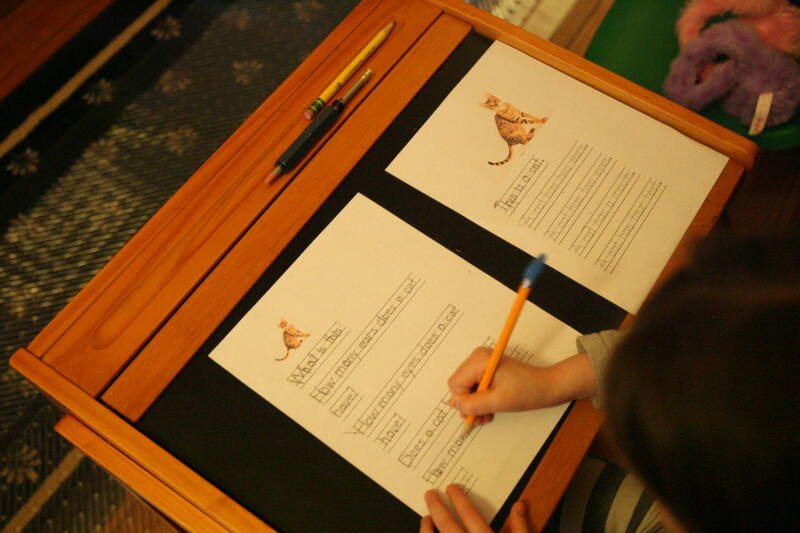 Pictured are workbooks by Handwriting without Tears and the lined chalkboards made by HWT for word writing and lowercase letters. 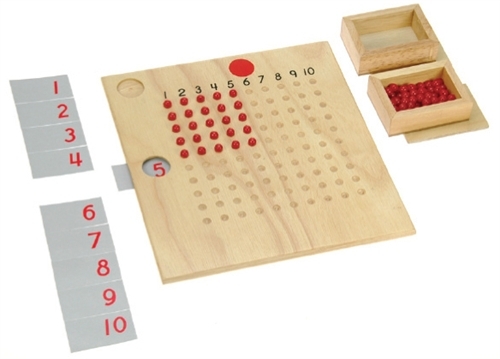 The smaller board is used for capital letters and additionally are some Montessori grooved letters for reading and practicing in coordination. Alright, above we see an alphabet chart which is great for learning the order of writing the alphabet and hooked on phonics (the simple set) of the Hooked on Phonics series. I found this set not as wonderful as the complete set with the readers but fun for the girls as they track their own progress with stickers and charts as they go along so they feel more independent on their learning. I used Handwriting without tears placecards for letters to go along with what they were learning in the workbooks so they could trace the letters with dry erase crayons before trying it out on their own on the dry erase board. Above Maggie has a headache somewhere in there as I believe she might be getting her daddy’s cold and Lily reads a books after letter practice.